Due to the Atlantic influence, the weather is mild with fresh summers and soft winters. Airstreams are a strong feature near the coast, stressing the vines to ripen their grapes. Travelling inland, the mountain ranges offer protection to the vineyards planted on the slopes from the winds. Since the nineties, Lisboa has made important investments in the vineyard redesign to reach a new status in the winemaking panorama. The region that was formerly known as Estremadura is now popular for its great price per quality ratio. 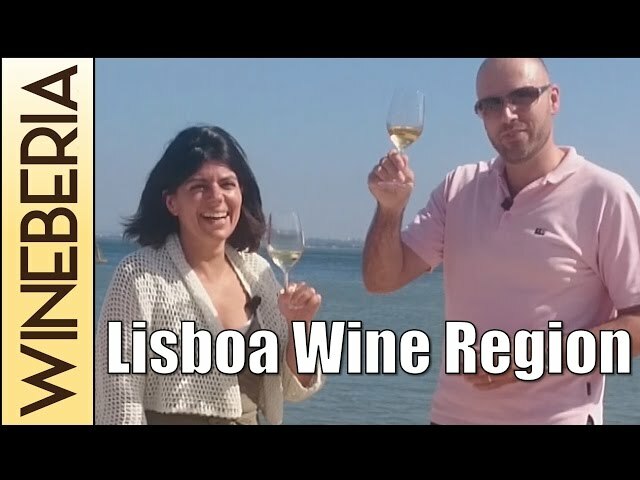 Lisboa wine region is composed by nine Denominations of Origin: in the south Colares, Bucelas, Carcavelos, in the centre Óbidos, Torres Vedras, Lourinhã, Alenquer, Arruda, and in the north stands Encostas d’Aire. In the south part, Colares is considered a “small jewel” (bellow 10.000 bottles/yr) where Ramisco grapes are planted on vines that snake along the limestone soil and sandy dunes to reach for protection from aggressive ocean winds. In this extreme environment, the wines produced have the ability to age well and reach a balance between fresh acidity and high tannins. Also in the south area, the Bucelas Denomination of Origin produces exclusively white wines from Arinto grapes, which are highly appreciated since the 16th century by UK consumers. The details of this wine, also known as “Lisbon Hock” (dry white wine), show balanced acidity, floral aromas and the capability of aging very well. In the central area, we find the region’s best DOC wines as a result of important investments made in vineyard modernisation and grape variety selection. Red grape varieties used are Tinta Roriz, Castelão, Touriga Nacional, Trincadeira and Tinta Miúda and are often blended with international grapes such as Cabernet Sauvignon or Syrah. As for white wines, Fernão Pires, Arinto, Vital and Seara-Nova are the grape varieties commonly used in this region. Alenquer stands out with some of the region’s best red wines which are recognized as aromatic, elegant, rich in tannins and capable of ageing well in bottle. White wines are considered citric and fresh. Local geography assures that the vines are protected from the Atlantic winds, allowing the ripening of the grapes and the production of concentrated wines. At North stands Encostas D’Aire, the region’s largest Denomination of Origin, known for a multitude of varieties: Baga, Aragonez, Chardonnay, Cabernet Sauvignon, Castelão, Touriga Nacional, Trincadeira Arinto, Malvasia Fina and Fernão Pires. The impact of this interesting mix is visible in the wine profile that has gained more body, colour and intensity in recent years. East of Lisboa and surrounding river Tejo, you’ll find the region named after Iberian longest river. Tejo is characterized by high fertility and mild climate, enablers of extensive agriculture where rice, olive trees and vineyards fill the wide plains. Travelling away from the river, you will find Bairro and Charneca, regions that are considerably hillier and drier when compared to the riverside land (Lezíria), which enable the production of wines focused more on quality than quantity. Bairro uplands are located north and east of the Tejo, where hills and planes alternate until reaching up the foothills of the mountain ranges of the Serra dos Candeeiros and Serra de Aire that border Lisboa area. Southeast of the Tejo lies Charneca, a region that suffers the influence of the neighbour Alentejo dry and hot climate. Here the soils are sandy and vine productivity is low in quantity but high in quality, with grapes ripening easily and early in the year. The terroir of Ribatejo is noticed in its wines: young, aromatic reds with soft tannins and fruity whites with floral aromas. Local farmers are known for their ability to produce original wines by combining the region’s traditional grape varieties such as Castelão or Trincadeira with external ones, such as Merlot, Cabernet Sauvignon or Touriga Nacional. In the white wine, there is less “flexibility”, as the main variety used is Fernão Pires that sometimes is blended with other grape types like Tália, Trincadeira das Pratas, Arinto, or even Chardonnay. Red grapes: Alicante Bouschet, Aragonez, Castelão, Touriga Nacional, Touriga Franca, Tinta Miúda and Trincadeira. White grapes: Malvasia, Arinto, Vital, Seara-Nova and Fernão Pires. Red grapes: Aragonez (Tinta Roriz), Rufete, Castelão, Moreto, Negra-Mol. White grapes: Galego-Dourado, Fernão Pires (Maria Gomes) and Trincadeira-das-Pratas.